Is Geology a real science? This is the first in a series of posts by fellow physicist Marco Piani on the science in the television show The Big Bang Theory. 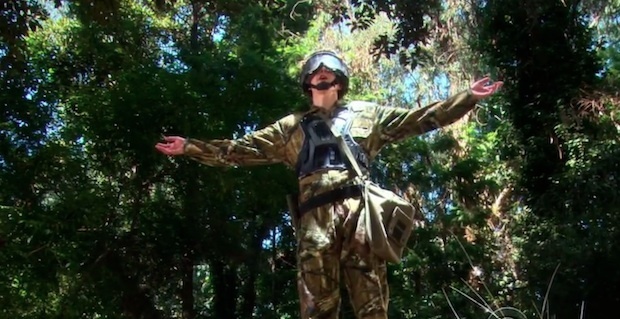 But in the paintball scene Sheldon does not simply make fun of geology as a "lesser" science; he actually expresses his belief that geology is not a real science. His is a pretty harsh statement, and we understand why the geologists are so pissed off not to think twice before shooting Sheldon down! While we do not endorse Sheldon's words, let us try to understand the possible reasons behind his verbal attack. Actually, what might have triggered the criticism against geology of that snobby theoretical physicist of Sheldon, is the relevance of "applied geology" in the modern world, which goes from mining to environmental issues. Even if, like Sheldon, I am a theoretical physicist, I am very happy to call geologists "fellow scientists". I must add that I am also a peaceful man, but I know that my inner geek will sooner or later induce me to take part in a paintball battle. Scientist or not scientist, surrender, or be stained!